Roof of a building is just as important as the foundation is. Though the roof does have a long shelf life, a lot of external factors can cause damage. Many people buy the house which is already constructed and know very little about the construction and roofing aspects. When faced with a challenge of leaking roof, they make the efforts to learn more about the subject. First of all it is important to ensure at the building stage that the roofing is done perfectly. Though externally not visible, poorly executed jobs ultimately show up after two to three years. Seepage and leaks can cause damage to the walls and weaken the structure. Externally they also cause the paint to wither away and the seepage shows through the painted wall. Such dampness is very bad for the health of the people living in damp rooms and can fall ill due to the dampness. 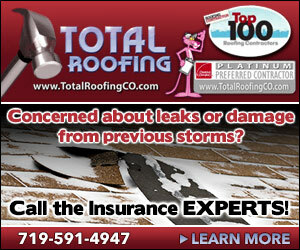 Roof damage can happen due to the strong winds or other vagaries of weather. In other cases the type of roof will determine the vulnerability of the roof to damages. Sloping roofs no doubt do not let water accumulate or stagnate, but are more prone to get unsettled by strong winds. Flat roofs on the hand are very stable but water stagnation can be a major issue if the water proofing done is not adequate or if the roof slant angle is not appropriate and leads to water stagnation. In all cases whether one is building a new house or in the case of replacing a new roof on an old building, it pays to know everything about roofing. Only when you know the subject in detail can you make meaningful conversation with the engineers and contractors to get a perfect job executed. Traditionally the roofing used to be made out of wooden planks and shakes. Even now quite a few old buildings continue to have wooden roofing. Such roofs require regular maintenance and are prone to mold formation and catching fire. With advancement of technology, wooden roofing has given way to asphalt shingles which have gained wide acceptance. Asphalt shingles are very apt for slanting roofs. The other alternative roofing materials are also available and very popular in urban houses. Metal roofing is very popular roofing method in industrial buildings as well as houses with wide carpet area and requires metal girdles and C section pillars to be erected and sheets nailed with screws at the top. The sheet profiling is made in such a way that leaves no room for leakage when overlapped with another sheet. Tiled roofs are very neat and when laid perfectly are found to be very durable. It is easier to repair tiled roofs because one can easily remove and replace the tiles in the effected area without having to damage the entire roof. Though roofing your home is a little expensive, but worth every penny you spend on it. It protects your building and avoids any damage to the walls and other parts of the building. A new roof on the building increases the value of the property.